Chongqing is a famous historical and cultural city. It is surrounded by mountains on all sides, and buildings in the urban area rise and fall with the terrain. The principal part of the urban area presents a typical picture of the mountain city. The well-known places to the memory of the revolutionaries, rich cultural relics about the War of Resistance Against Japanese Aggression, parks, scenic attractions, and nature reserves make Chonqing a tourist center, ideal for sighseeing, holding meetings and exhibitions, spending weekends and holidays, shopping, and eating. Located on the ridge of Eling Mountain in the Yuzhong District, the park is so named because its topography resmebles a goose neck. Eling Mountain, the commanding post of Central Chongqing, is an ideal spot to admire Chongqing Harbor, where the Changjiang and Jialing rivers join forces, and a night view of Chongqing. The park is less than two kilometers from the two rivers, one flowing on the left, and the other, on the right. At 175 on People's Road, it consists of the auditorium, the North Building, and the South Building and covers an area of 25,000 square meters. The auditorium is constructed along a central axis, and the North and South buildings are symmetrically arranged on the flanks. 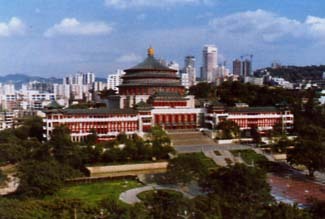 In 1997, when Chongqing was designated as a municipality directly under the central government, a modern square with a beautiful environment was built in front of the auditorium. 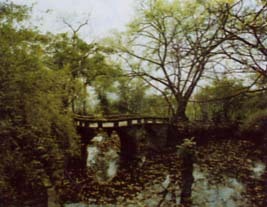 The bridge was built and open to traffic on July 1, 1980. It links urban Chongqing with the Chuanqian (Sichuan-Guizhou) Highway. The principal bridge opening has a span of 174 meters. 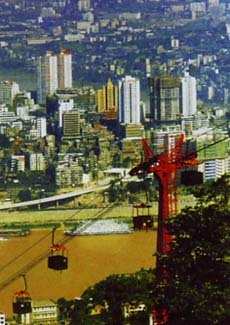 The park extends on the southern bank of the Changjiang River in Chongqing. A mountain park known for its flowers and trees, it is composed of Huangshan, Daishan, Yuanshan, Wangshan, and Jiangshan mountains and covers more than 400 hectares in area. During the War of Resistance Against Japanese Aggression, important officials of the Kuomintang government and foreign envoys vied with one anther to build villas there. 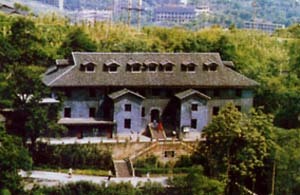 These include the former office of the Southern Bureau of the (CPC) Central Committee at 13 of Hongyan (Red Crag) Village, the site of the ERA Chongqing office, the urban office of the Southern Bureau of the CPC Central Committee at 50 Zengjiayan, the site of The Xinhau Daily at 76 of Hualong New Village, and the site of the CPC delegation at 263 Zhongshan Road, and Guiyuan. As the city flower of Chongqing, camellia has been cultivated in the area for more than 2,000 years. It is an evergreen dungarunga belonging to the tea family. There¢Xre a total of 73 species, and their blossoms are pale red, purplish red, white, or variegated in color.